So have a cab but when it comes to tarting it up, fixing an issue or just a bit of routine maintenance what tools will you need? You don’t need to spend a fortune, there’s no point in blowing a fat wad of cash on a tool that you may only use on a couple of occasions. Before you do anything including switching your cab on you need to pick one of these up, no excuses! You can do lots of things with a multimeter but if you're like me then you will most likely use one to measure voltages and to check continuity. 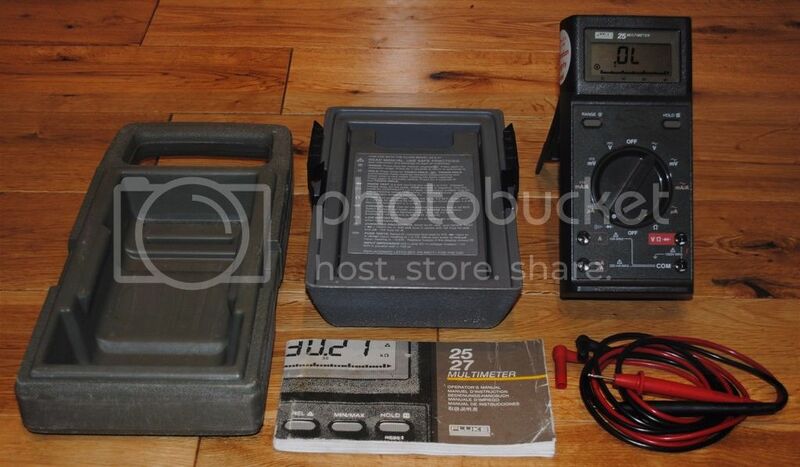 Multimeters can save you both a fortune and hours of frustration. Too much on your +5 rail can and will damage PCB’s. Checking your +5 rail with a multimeter before you connect your expensive Cave PCB and adjusting accordingly can save you from tears. Cab not turning on, first port of call is to check the fuse, it looks fine and passes a visual inspection. Then you spend hours tearing your hair out, getting nowhere fast. If you had checked it for continuity with your multimeter then it could have told you that the fuse had actually blown, swap it out for a new one and you could have been gaming seconds later. OK it won't always be such an easy fix but that is a genuine example of how they are an invaluable tool. 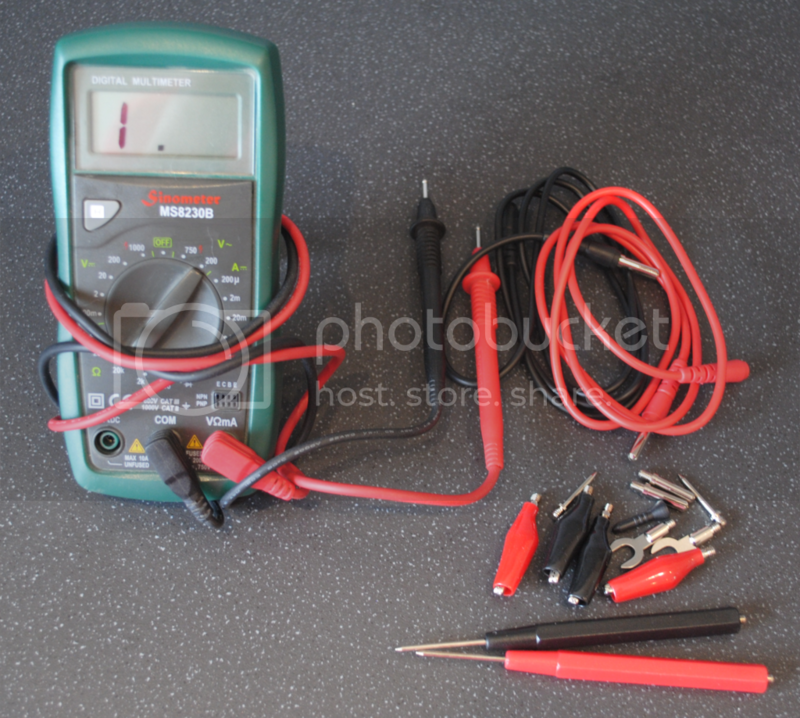 You can spend lots of your hard earned cash on a multimeter but you don’t need to. I have two, a fantastic Fluke 25 which cost me about £30 from eBay and a cheap Maplins one. I love the Fluke, and I can't recommend picking this model enough. It's ex MOD, comes with a rugged carry case, built like a tank, safe a houses, accurate, auto ranging, has a useful hold feature and the continuity beep is just beautiful. The Maplins one is obviously built to a much lower price point so its missing some features, for example it's a manual range meter, there's no continuity beep, there's no hold feature and it's not as well built as the Fluke but does everything you'll need and the Fluke would have cost 20 or 30 time more than the Maplins one when new. The reason I have two is when using my high voltage probe in conjunction with a mulitimeter, the multimeter must be a manual range (non auto ranging) type and as good as the Fluke is, mines auto ranging. If you want to make your own looms and adaptors or maybe fancy having a go at repairing anything from a wiring loom to a monitor chassis to PCB’s themselves then you’re going to need a soldering iron. I used to have a cheapo Antex that was a bit of a chore to use but to be fair it always did the job. I didn't like it because it took ages to heat up, every tip I tried just didn’t feel right but the main annoyance was the flex. It was fairly thick and inflexible which may sound odd but it really made it a struggle to hold comfortably, it always felt like you were fighting the flex and it just wanted to twist out of my hand. You may think this sounds like nonsense but soldering is a fiddly job at the best of times and you could always use an extra pair of hands (see helping hands) so it made a fiddly job much more difficult than it needed to be. About 18 months ago I picked up a used Metcal PS900. I did a lot of research before I splashed my cash and for me it was a toss up between a Metcal and a Hakko (Franco uses a Hakko and we all know that his looms are the **** so I know they make quality irons that can produce amazing results). Plenty of people also seem to recommend Weller irons, but in the end I settled on the Metcal. My Metcal heats up in seconds, you don’t need to worry about adjusting the temperature as its dead clever and does this automatically, there are tips for every occasion although I only have 3, which simply slide on and off, it’s really well built, parts are readily available and the flex is long and beautifully soft and pliable, but they are not cheap hence why I went down the second hand route. 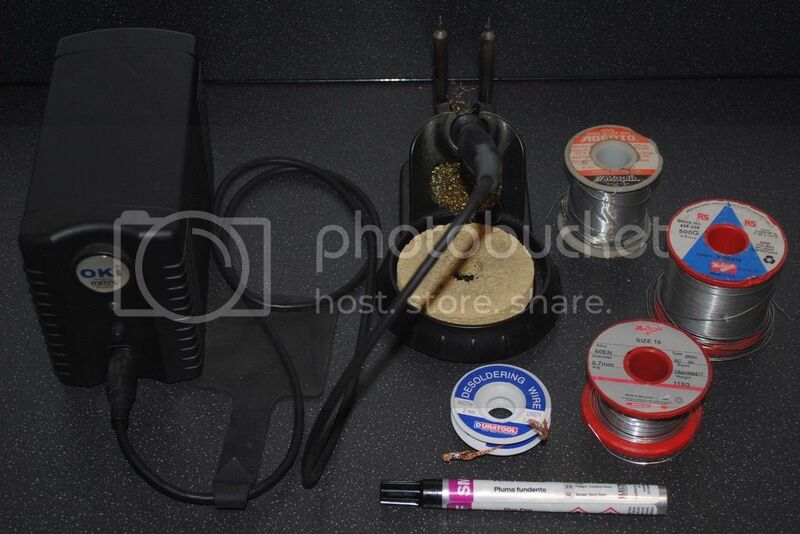 You will also need solder (I always use leaded) a flux pen and desoldering braid is also useful. Used when discharging monitors. I'm not going to go in to how you use one as there are some terrific guides both on the AO Wiki and J+. Remember unless you have a self contained instrument you'll also need a non auto ranging multimeter in order to use this tool correctly. There are of course other methods of discharging a monitor but I want to do it as safely as I possibly can be and if a HV probe gives me confidence to discharge a monitor safely then I'm fine with that! 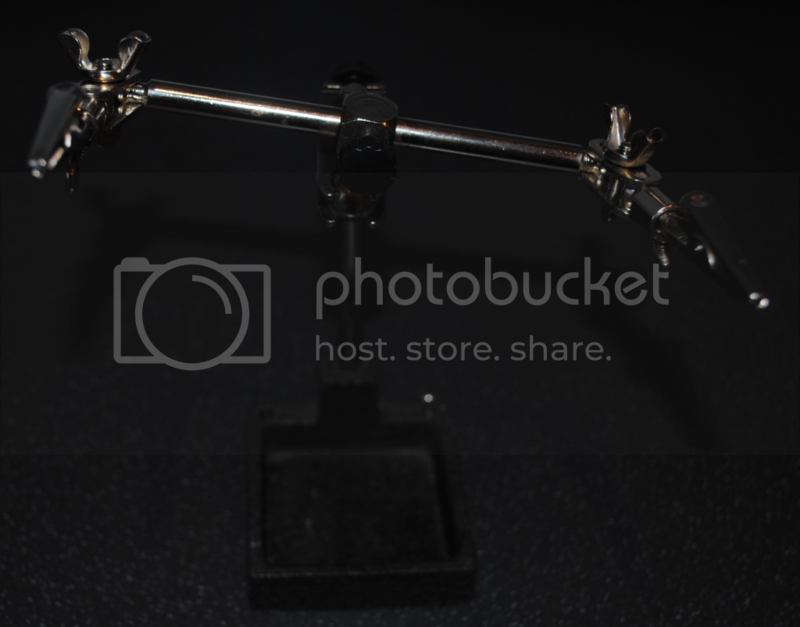 Basically they can hold things for you whilst you solder or do whatever, mine have crocodile clips for hands which are OK but fancier ones naturally have nicer holding parts. 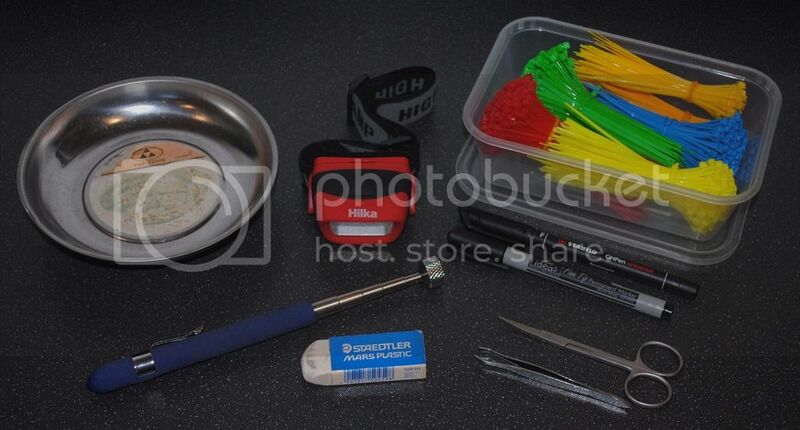 They usually have a magnifying glass, a little stand to hold your soldering iron and a sponge. I removed those bits from mine as quite frankly they were ****. I find them rather helpful, another cheap useful tool. 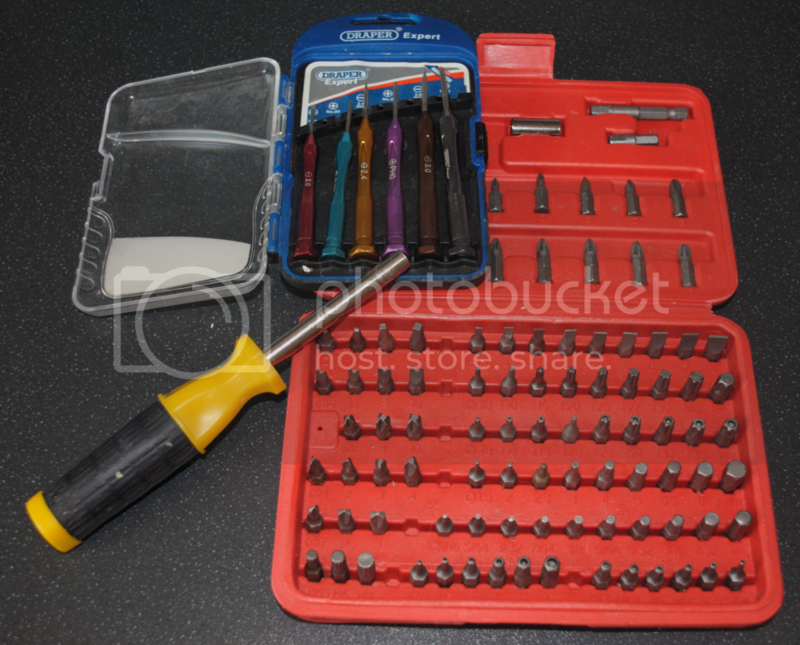 You'll need to take things apart so you'll need a decent selection of bits including Security Torx, Slotted, Phillips, Pozi and JIS in various sizes. Fortunately you can get fairly decent comprehensive sets for very little outlay so unless you're feeling flush a cheap set will do. As Crunchywasp pointed out JIS (Japanese Industrial Standard) screwdrivers are handy to save stripping screws with a Phillips. Sometimes although it looks and feels like it fits it isn't quite the right profile and it just doesn't stay in I've not tried the Vessel Jawsfit screwdrivers but I know Vessel is a quality brand and if crunchywasp says these are pretty good, then that's good enough for me. You'll find plenty of nuts in your cab so you definitely need a socket set. Again you can get comprehensive sets for very little that will perform perfectly adequately. These are invaluable and dead cheap too. Got a nut but the bolt is too long for the socket to even reach the nut, that’s where these bad boys come in. Needle nose and regular are always useful to have to hand. These can be mega bucks, seriously you’ll see ones going for like £400, but I’ve also seen them in Poundland too. So what’s the difference? 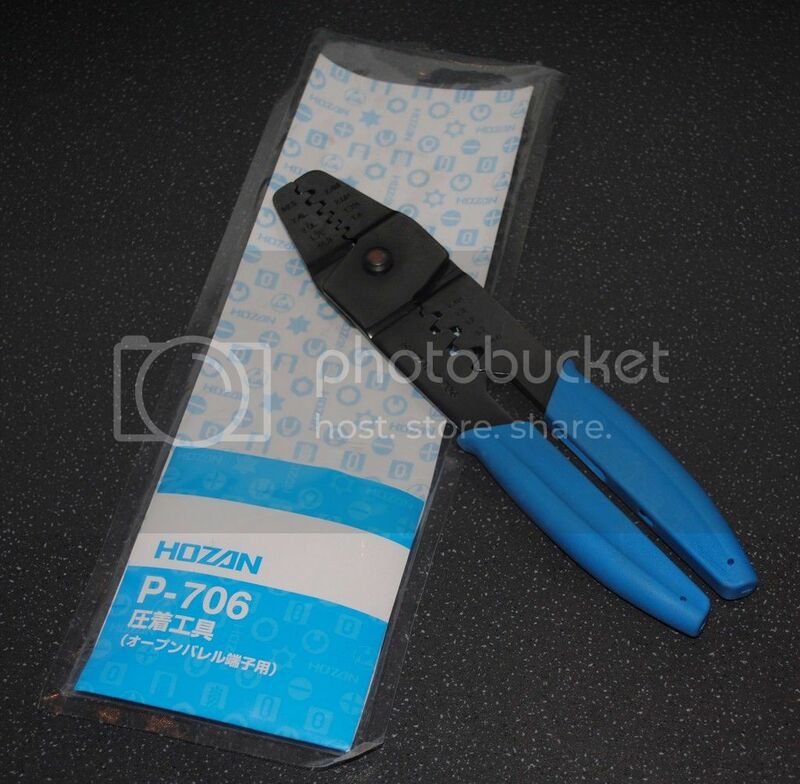 Well I've never tried the mega bucks ones (they are for crimping specific terminals) although in the past I've had cheap ones, both manual and ratchet type but my weapon of choice is the Hozan P-706. It will crimp pretty much everything you’ll come across in the hobby including AMP UP, Hirose, JST and Molex, it’s brilliant. 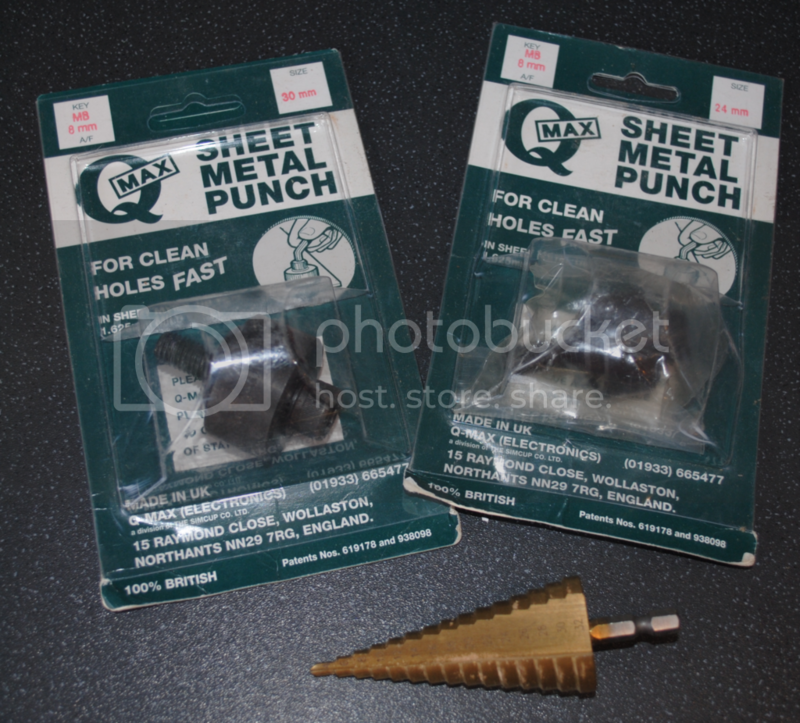 Really cheap ones will work but I've found the ones I had were inconsistent in the quality of the crimp. The main issues were either not crimping tightly enough or completely crushing the wires and terminals. You need this to...er... strip wire. I have a fancy pants automated pair that I got as a birthday present but before I got those I just used cheap ones which were fine. These allow you to get in really close to snip wire, legs and pins neatly. 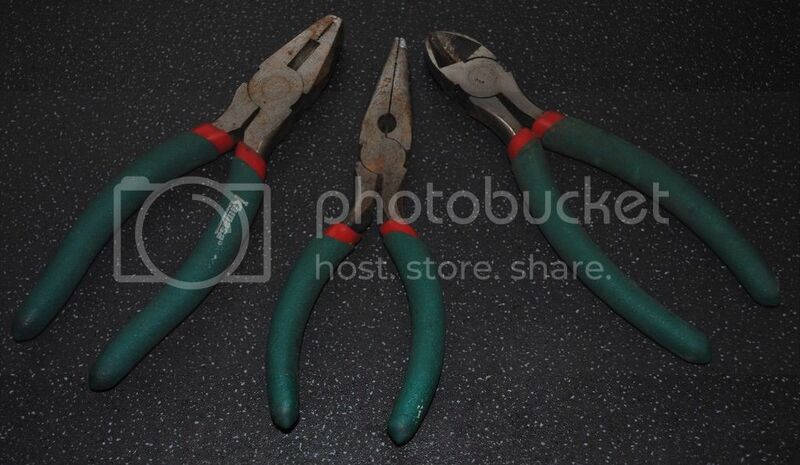 A specialised pair of pliers used for removing the e-clips that hold the joysticks shaft in place. 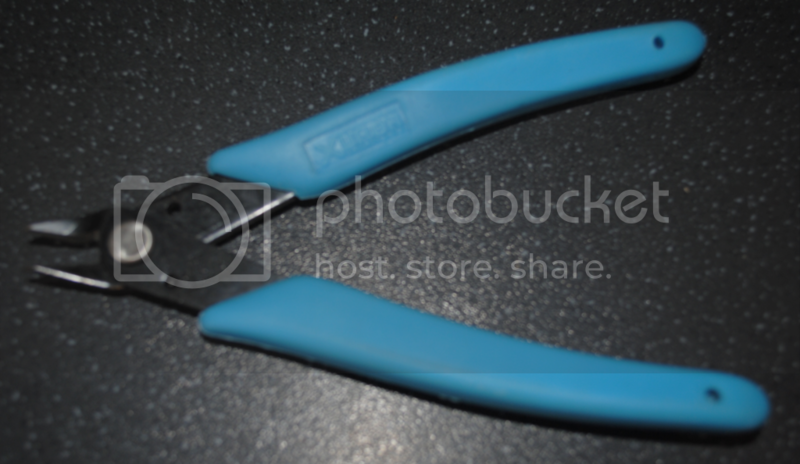 You can remove E-clips with a really small flat headed screwdriver and push them back on with regular pliers, but if you see a cheap of E-clip pliers then I'd recommend grabbing a pair. 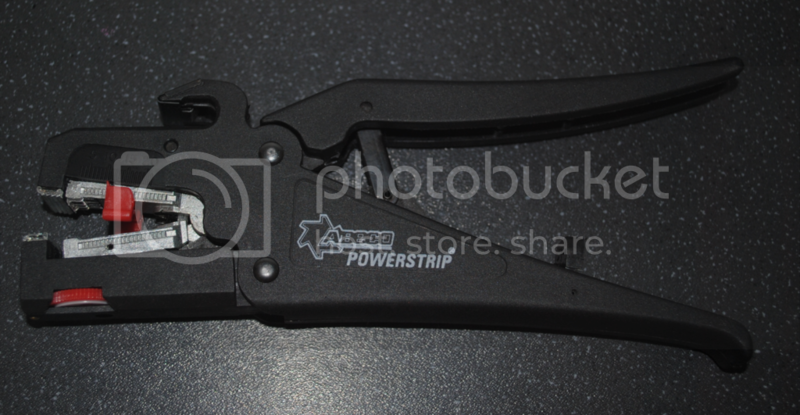 Usually its E-clips that are used for retaining a joystick shaft but my LS-32’s require circlip pliers to remove the retainers they are cheap (seen the in Pound shops). They are a fiddly tool to use but they do save your fingers. So you have pots (potentiometers) that need adjusting but they are in hard to reach places and you don’t want to get shocked or short something by using a regular screwdriver, so what do you use? 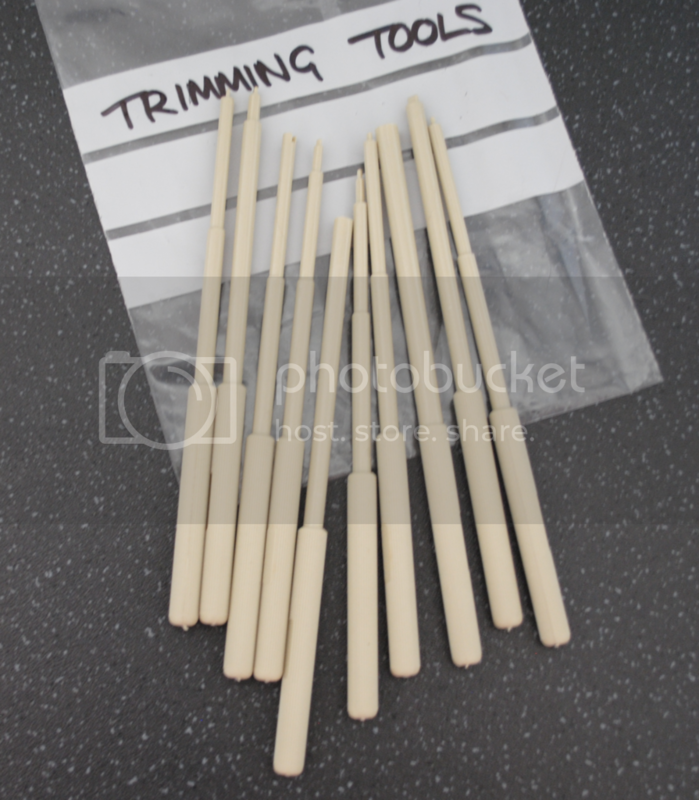 Trimming tools. They usually either resemble mini screwdrivers or pens (depending which on style you opt for) and are mode of anti static nylon. If you are struggling to find them locally then either style can be picked up on eBay for just a few pounds. I like these tools a lot and I get plenty of use out of them. Make or enlarge holes in control panels. The two main sizes are 24mm & 30mm. 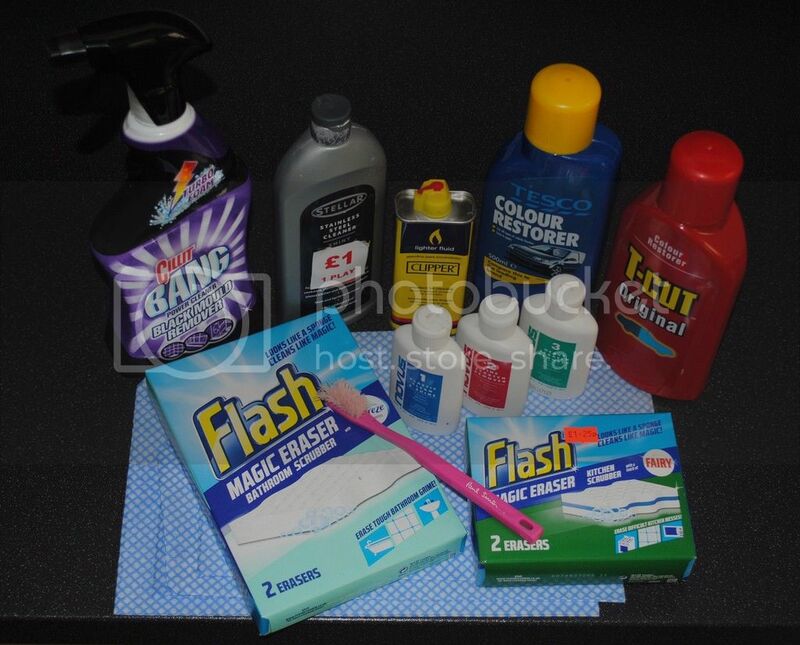 Magic sponges - Brilliant for all kinds of marks, grime and general filth. Flash make the best ones by a mile. Novus 1, 2 and 3 - Great for polishing plastics, if you have a buffing tool then all the better. Stellar Stainless Steel cleaner - Brilliant for bare metal and some plastics too. Cillit bang black mould remover- I've tried so many cleaning products for removing the nicotine, dried on Cola and other crap off of candy cabs and this **** all over the lot, amazing stuff! Toothbrush - Great for getting into all the grooves, nooks and crannies. Staedtler mars plastic eraser - These are what you need to clean PCB edge connectors, hate to think how many MVS carts I've done over the years. Head torch - You want to be able to see inside your cab don't you. Magnetic dish - Sling your nuts, screws and bolts in, you'll never need to grovel on the floor looking for wayward metal again. Telescopic magnetic stick - Great for picking up screws from hard to reach areas. Cable ties - Keep your wiring neat and tidy, you can get these in pound shops and they come in various colours so you can colour code and satisfy your OCD. Marker - To mark things up. Tweezers - Always handy for holding little things. Scissors - Again always useful to have around. 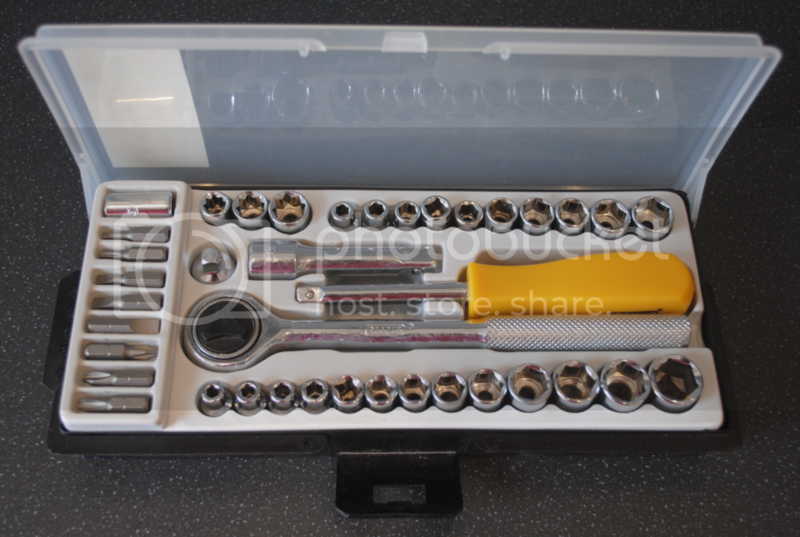 Screw extractor set - For removing stripped screws, get a decent set, cheap ones seem to be rubbish so don’t waste your time or cash on them. 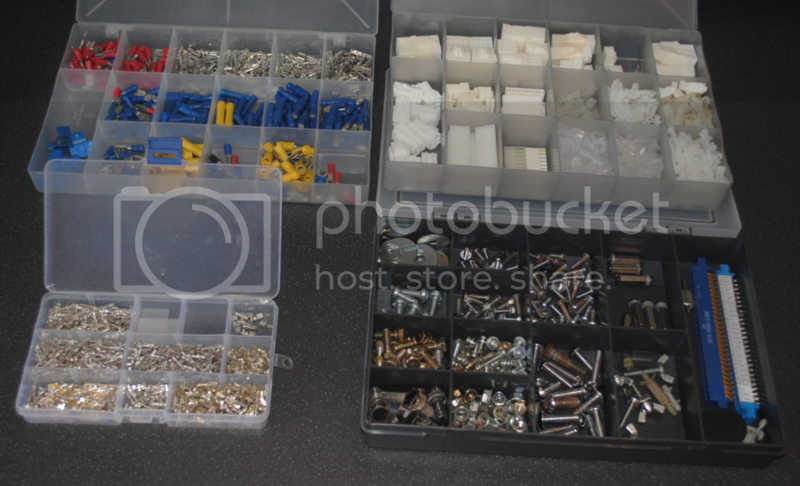 I also have a selection of wire, terminals & housing, including AMP UP, JST and Molex, heat shrink, edge connectors, cabinet bolts and screws plus a few other odds and sods. 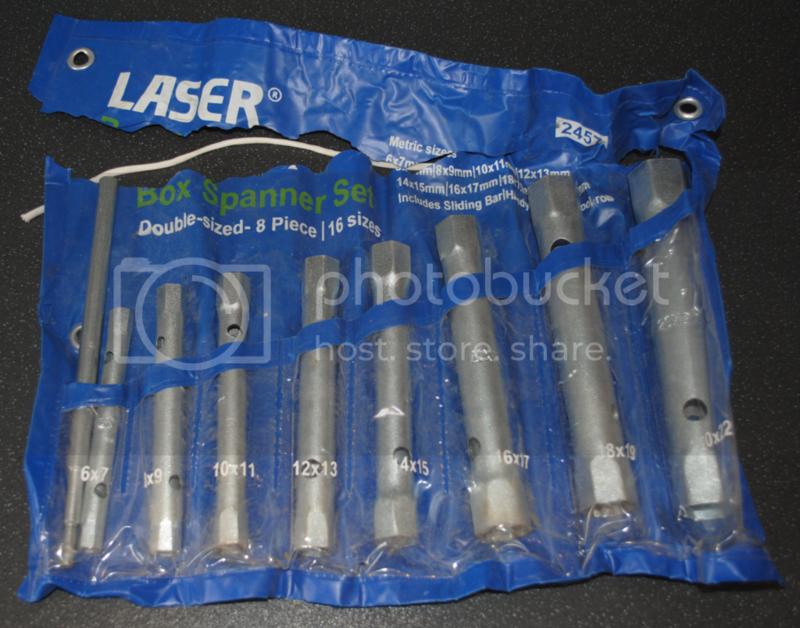 These bits are always handy to keep for spares or future projects. Everything else you will probably already have in your tool box. Finally Might be worth checking what fuses and starters (for the flo tubes) are in your cab and keeping a few spares. Oscilloscope I don’t have one and wouldn't know how to use one anyway but cleverer people than me will know all about them. pulstar wrote: I would maybe add Logic Probe. Similar to an oscilloscope, but more limited and easier to use for the beginner (and far, far cheaper). phillv85 wrote: An IC lifter and an EPROM programmer are both nice to haves as well. If I've missed anything off or you have something to add then chime in but please keep it constructive. Last edited by Paulie on October 13th, 2016, 6:05 pm, edited 23 times in total. 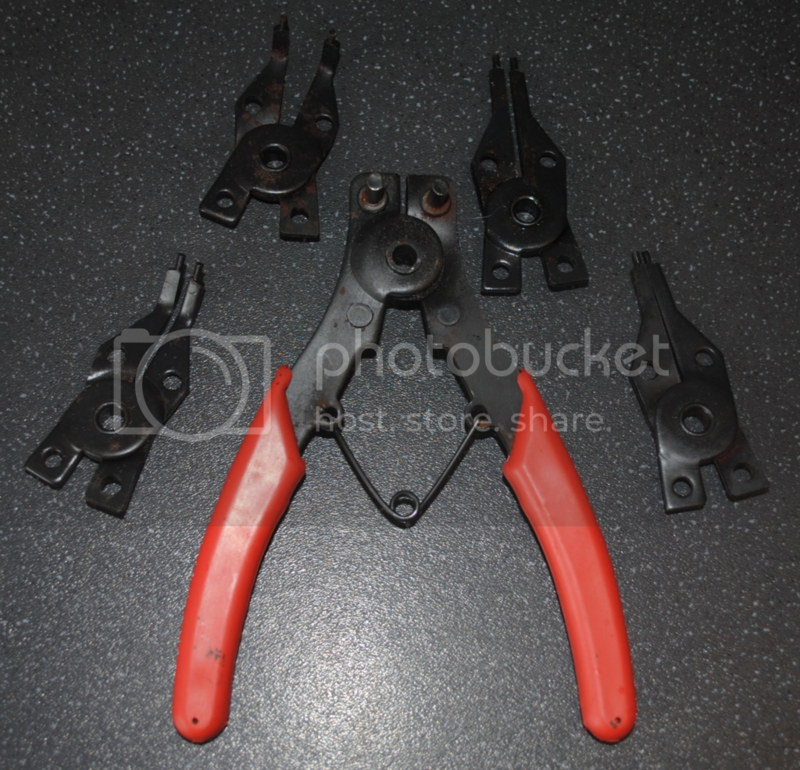 Wow great post paulie, gonna check that crimping tool out on ebay now. Cool thread I would maybe add Logic Probe. Similar to an oscilloscope, but more limited and easier to use for the beginner (and far, far cheaper). An IC lifter and an EPROM programmer are both nice to haves as well. All generally needed. A great post! Cheers. Hopefully it will be useful for people, especially newer folks to the scene. Any suggestions to best buy brands/models or what to avoid would be welcome. ...and I find a few JIS screwdrivers are handy to save stripping screws with a Phillips. Sometimes although it looks and feels like it fits it isn't quite the right profile and it just doesn't stay in . I have a few Vessel Jawsfit screwdrivers which are pretty good. Good calls buddy, I'll add to the 1st post. Must admit I completely forgot about a set of nut spinners. I have a couple of JIS screwdrivers somewhere, IIRC they were quite expensive but I bought them when I had an Astro as you say a Phillips is not quite the right profile and it does strip the heads. I just followed whatever Grant told me was ok back when I was first learning about monitors and I'm still alive. a magnetic dish... so simple but so effective. Never heard of it but thats all there is to it, I´m getting one. great list by the way, very handy! A screwdriver with a lead attached is not a HV Probe! It'll let you discharge a monitor but that's it. Never use this on a vector monitor. cools wrote: A screwdriver with a lead attached is not a HV Probe! It'll let you discharge a monitor but that's it. Never use this on a vector monitor. I know, I was being silly. Why should you not use it on a vector though? What would happen? Never had a vector. Amazing work Paulie, I have to thank you for recommending the Hozan tool, I'm now in the process of cleaning all the cabling in my cabs and this thing makes the work a lot easier . Yeah the Hozan is a really nice tool to have, it gives pro looking results and should last a lifetime too.